The Air & Waste Management Association (A&WMA) is now accepting abstract submissions for its 106th Annual Conference & Exhibition, scheduled for June 25 – 28, 2013 at the Hyatt Regency Chicago in Chicago, Illinois. Click here to Submit: www.conferenceabstracts.com/AWMA2013.htm. Abstract Submissions are due by Monday, November 26, 2012. The 2013 Annual Conference theme is “Towards Sustainability” and the draft title for the Critical Review topic is “Motor Vehicle Refrigerants, the Ozone Hole, and Climate: A Science and Policy Success”. We are pleased to invite abstracts of original work on important and timely environmental issues. Those abstracts related to the conference theme, Critical Review, and with an industry perspective are especially encouraged. Click here to view the 2013 Call For Abstracts Guidelines. For more information on the Call For Abstracts please contact Julie Marquez-Bobchak, A&WMA Technical Programs Coordinator, at +1-412-904-6004 or jbobchak@awma.org. 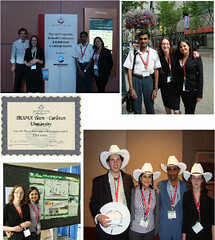 For eligibility details please visit: http://ace2013.awma.org/technical-program/award-opportunities. Find out all the latest conference news at A&WMA’s 2013 Annual Conference website: http://ace2013.awma.org. Join the WEAO NPs, OWWA YPs, seasoned professionals, and students for an evening of networking, socializing and fun at our annual Holiday Bash. Admission is FREE, but we are also providing the appetizers and awesome prizes – just come ready to meet other industry professionals. Don’t forget your business cards for a chance to win! 1st place winner: Expenses-paid trip for 4 team members to WEFTEC 2013 in Chicago, IL, USA. 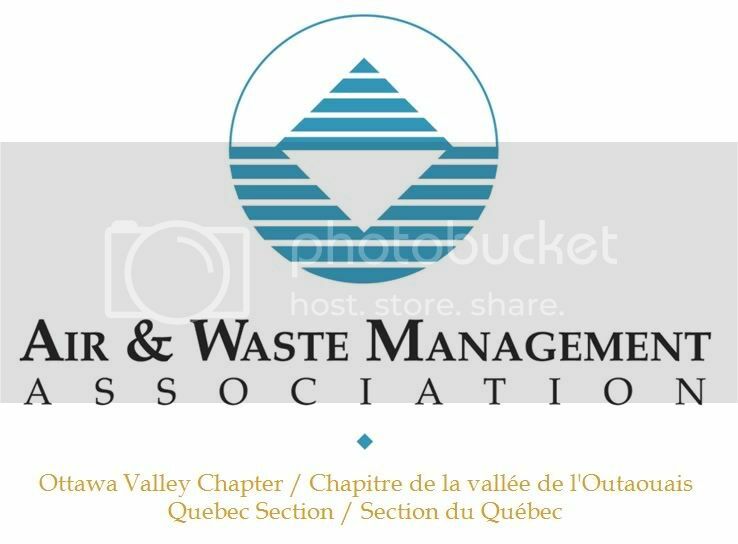 The AWMA will be hosting an interactive seminar on “New Directions for Environmental Protection” – featuring expert practitioners in current environmental policies and regulations. This seminar will be an excellent opportunity to hear first-hand from senior federal public servants and industry representatives as they describe recent legislative and regulatory changes, and reflect on their experiences in implementing government decisions regarding environmental protection on air quality, climate change and environmental assessment. enter a free draw for a complimentary one year membership in the A&WMA, a $220 value! Cost: $20.00 per person, Payable online at http://www.awma-ovc.ca, or at the door. The upcoming Canadian Institute of Management’s (CIM) lunch presentation will take place on Wednesday, October 24 at 11 AM at Room 100, 615 Booth St., Ottawa. An optional lunch buffet will be available for members and non-members for $10 (free for students) after the presentation. Mr. Eltringham has been selected as a CIM Distinguished Lecturer for his innovative thinking and problem-solving techniques that brought the field of copper smelting to new levels of safety, production and development. The last forty years are reviewed using four different copper operations, on four continents, as examples of the changes in thinking approaches the industry has developed. The prioritization of effort and resources is a skill that has developed continuously and necessarily at an ever increasing rate. The copper smelting procedures of Zambian Copperbelt (Africa), Kennecott Mine (North America), Escondida Mine (South America) and Olympic Dam mining centre (Oceania) will be explained and compared to demonstrate how technology, luck, shrewd business acumen and a vision can produce outstanding results and be a great source of learning about the “game” of mining. Please RSVP by October 22nd to Aartee Khandelwal, CIM Facility Coordinator by email (akhandel@nrcan.gc.ca) or via phone (613-995-4146). For members travelling by car, paid parking can be found on Booth St. or a parking lot is available on Beech St./Rochester for approximately 5$. CU-WISE would like to invite you to a summer picnic at Mooney’s Bay! They’ll provide the burgers (with the options of beef, chicken or veggie) as well as side salads and beverages. To take advantage of their generosity, all you have to do is RSVP by August 23rd at http://tinyurl.com/986nq9w. Everyone is also invited to bring friends and family as well as food of their own creation or otherwise (not required).